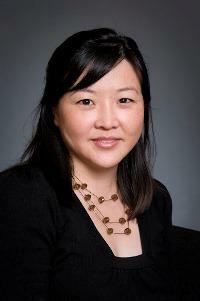 Home › Tracy Yee, Ph.D.
Tracy Yee, Ph.D., is a health researcher at the Center for Studying Health System Change (HSC). During her tenure at HSC, she has worked on studies examining the impact of scope-of-practice and certificate of need laws, changes in the uninsured and their health care needs, coordination between emergency and primary care physicians and the primary care workforce shortage. Her research interests also include nursing, state regulatory issues, and trends in health insurance and the private sector. Her research has been published in Health Affairs, The Journal of Nursing Care Quality, The American Journal of Nursing, and Journal of Nursing Administration. Dr. Yee received her Ph.D. in health services research at the University of California, Los Angeles School of Public Health. She also completed her M.P.H. in Health Policy and Administration at the University of Illinois at Chicago School of Public Health. Since April 2012, Dr. Yee has been the principal investigator on a HCFO-funded grant examining how a change in the payment rate for Medicare inpatient hospital services affects the volume of those services. Drawing on data from the Healthcare Cost and Utilization Project’s State Inpatient Databases from 1995-2009, Yee and colleagues are performing a panel data regression analysis of volume on payment rates, controlling for area- and year-fixed effects and beneficiary health status. The goal of this project is to provide the Congressional Budget Office and other policy analysts with estimates of how changes in Medicare hospital payment rates affect the volume of Medicare admissions, a critical, yet not well-studied piece of evidence used in modeling Medicare policy options. For more information about Dr. Yee’s HCFO work, please visit our website.